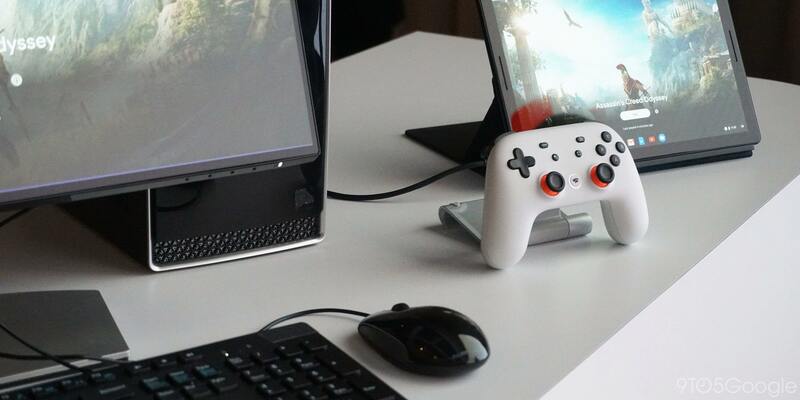 Apr 6, 2019 | 1 Votes by Mikhail 10 rate Your vote Google recently announced Google Stadia, a gaming service and online streaming platform. It’s the company’s first ever foray into the gaming industry and it can potentially make huge waves. Streaming games, like how you do music and videos today, is turning out to be a huge deal today. With Google Stadia, it’s bound to be bigger. The company we mainly know for its search engine and Android OS is making its first-ever gaming platform which is big. Though it’s not the first-ever game streaming service out there, why is it a huge deal? Though Android mobile phones eat up the lion’s share of the mobile gaming world, Stadia is its first true foray into the gaming industry. It will go up against established bigwigs like Sony (PlayStation), Nintendo (Nintendo Switch), and Microsoft (Xbox). Though going up against the big three seems like a recipe for disaster, it can still make an impact and get its fair share of subscribers. In addition, it sets itself apart from other services due to its likely smooth integration with Google’s other services, like YouTube. Stadia is NOT a gaming console and it does not compete directly with the likes of the PlayStation 4, Xbox One, and Nintendo Switch. Instead, it competes with their services like Sony’s PlayStation Now which streams PlayStation 3 and select PS4 titles as well as Xbox’s Project xCloud. To get a better idea, let’s say you’ve subscribed to PS Now, which is $20 a month. Instead of purchasing games and downloading them directly into your console, you can simply stream them. In turn, this saves you valuable storage space. Stadia provides the same kind of service, albeit requiring no additional hardware: everything is on Google’s data centers. However, you’ll still need powerful high-tier PC and decide whether to buy one of its controllers. As of today, there are only two confirmed first-party games on Stadia: Assassin’s Creed Odyssey and Doom. We can be sure that it will support other first-party games in the future, especially if it manages to take off and rake in subscribers. We can also anticipate that it will support indie developers especially if you consider Google’s huge mobile library. Some quality mobile games can be ported or remade into the Stadia. However, we all hope they won’t have the same absurd F2P practices. Compared to Sony and Microsoft, Google is more poised for game streaming due to its many data centers scattered across the globe. Though the company promises accessibility, lag and related issues will likely persist. This is the same problem PS Now is facing. Unless if you have a stable internet connection (25 MBPS and above), you won’t have a smooth experience. Note that we’re only talking about PlayStation 3-era games. 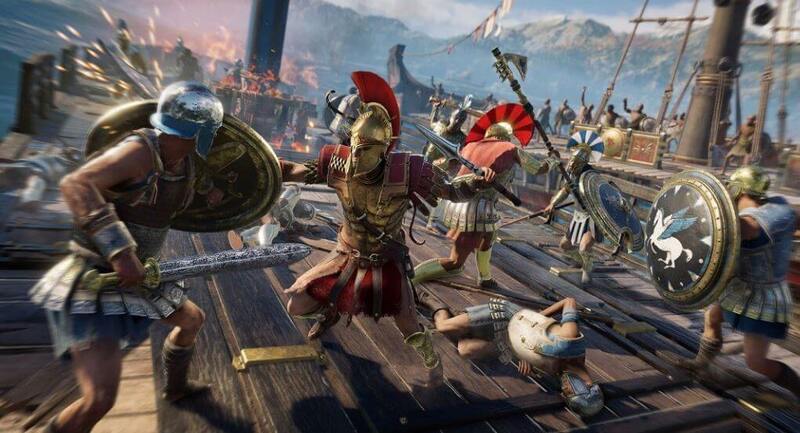 Just imagine how it would be if you’re streaming Assassin’s Creed Odyssey on 4k resolution and at 60 FPS. To add to the list of possible issues, Stadia’s data consumption requirements could be more than what ISPs can handle. Some companies may only provide 500 GB to 1 TB of data per month. Constantly streaming on Stadia will gobble up data and subscribers will likely run out within days. There’s also the issue of offline play. Since it’s a streaming service, you’ll need to be connected to the internet. Even with the lightning fast internet speeds of today, they are as fickle as the weather. A minor interruption can absolutely ruin a single play session. Will this mean the end of physical games or ones you can play offline? Of course not. Though Stadia is poised to be a top-tier streaming service, it will lag behind consoles and games you can play offline. Quite frankly, choosing between streaming games directly into your device vs downloading them is a no-brainer. Gamers don’t want to be connected to the internet all the time when playing singleplayer titles. Personally, I’m only online when playing multiplayer titles. Note that Stadia’s model isn’t something a lot of people can get behind. Not many people are capable of streaming games at high speeds or get powerful hardware capable of which. Though consoles themselves are expensive (but not as expensive as powerful PCs), you don’t need online connectivity to play the games stored in them. People do not want to be required to constantly be online while playing as Microsoftlearned the hard way back in E3 2013. Even popular video streaming services like Netflix and even YouTube (which Google owns) have a download feature that allows users to watch videos even when offline. Overall, Google Stadia has the potential to be a gamechanger in the industry, it still has a few challenges - including its direct competitors - to hurdle. Regardless of what it will bring to our TV and computer screens though, we’re excited and anticipating its release in 2019. Is it something we can get behind like the Android OS, or will it flop like Google+? Future announcements and its release itself will tell.